Returning from a pilgrimage to the Holy Land, St. Francis finds the order of humble friars, which he had founded, has grown so tremendously that now over 6,000 monks consider themselves "Franciscans." 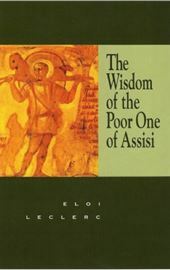 But St. Francis is appalled to find that with this apparent success came a total rejection of his original vision which this thriving community of friars regarded as outmoded and unsuited for their current needs. When he remonstrates, they suggest that if Francis cannot adapt to the new rules and regulations, perhaps he should go elsewhere. Rejected by the order which he founded and despondent that the vision he felt God gave him is being scorned, Francis withdraws to a mountain hermitage with his beloved Brother Leo. There in a Spartan cave during a long winter of the soul Francis arrives at new insights into what God requires of those who would follow Christ. This heartening story brings comfort to all who have faced loss or failure and feel that God is no longer smiling with favor on them. Trudging the paths with St. Francis, one comes to a flowering spring filled with new insights on what is required of those who would call themselves "Christians."